Today we would like to share with you the many reasons which make Mahi a star, why he is a winner at his game and at life! India has always been obsessed about cricket but the underlying truth is that we have been actually obsessed about the cricketing greats. About the players who bring us scintillating performances, huge sixes, numerous fours, difficult wickets and set records. Time and again generations have patronized players and we all have our favourites. 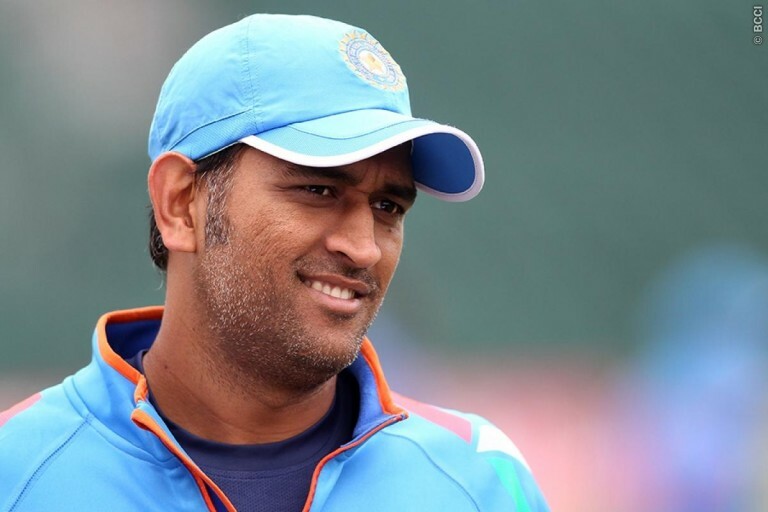 But one person who came from nowhere, made his mark on his own, and is now a legend of his own accord is none other than the small town Jharkhand boy Mahendra Singh Dhoni. One of the greatest captain of the Indian Cricket team and one of the best players in the world. Today we would like to share with you the many reasons which make Mahi a star, why he is a winner at his game and at life! He wasn’t destined to be a cricketer initially as he began the life of sports with football (still claims to be his first love) when he was spotted by his Godfather Keshav Ranjan Banerjee while he was the goalkeeper for Jawahar Vidya Mandir School Ranchi in 1993. Even today when he is not playing cricket on field you can find him playing football. Team India often warms up by playing football before matches and even on practice sessions. 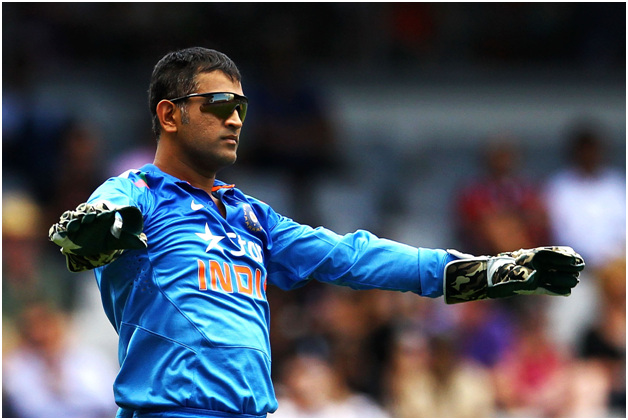 Being a goalkeeper helped him become the world class wicketkeeper that he is today. 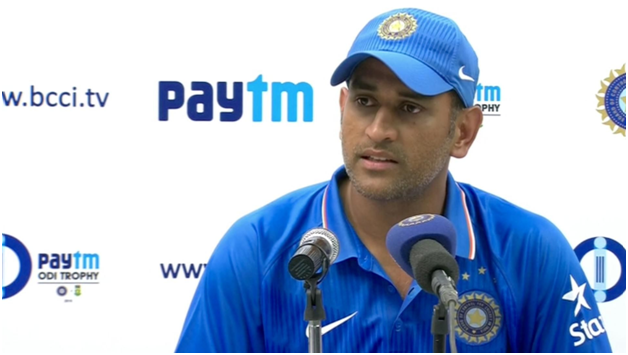 Dhoni wants to serve in the Indian Army once he retires. He holds an honorary rank of Lieutenant colonel in the Indian Territorial Army. He visits the army camps whenever he gets free time. "It’s a real honour as I always wanted to be part of the Indian Army. 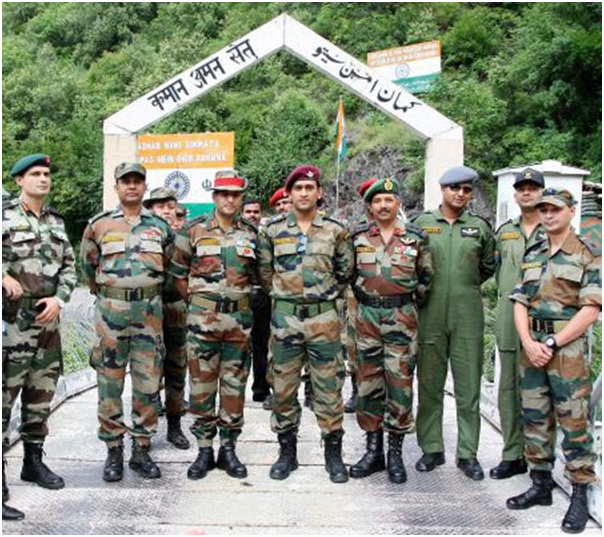 It’s (joining the Indian Army) something that I always wanted to achieve as a kid and now that I have donned the olive greens, my dream has been fulfilled,” he says. 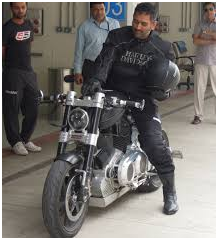 Lt Col Mahendra Singh Dhoni is also the first sportsperson who has successfully completed his maiden Para Jump from 15000 feet. It is well known that it was Dhoni who initiated their love story and didn’t let the world know that Sakshi Rawat was his lady love amidst rumors of link ups with Deepika and others. The childhood sweethearts rekindled their love and married in 2010. 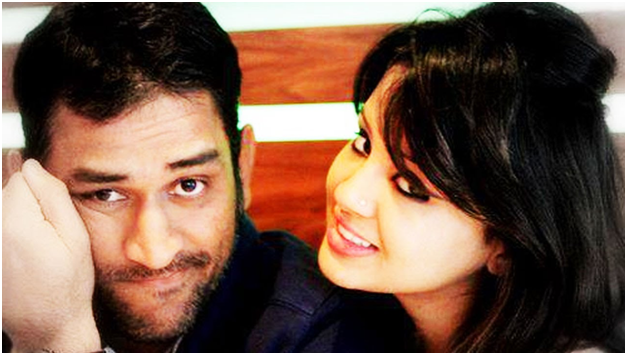 Since then Mahi has been supported through thick and thin by Lady Mahi in matches and otherwise. 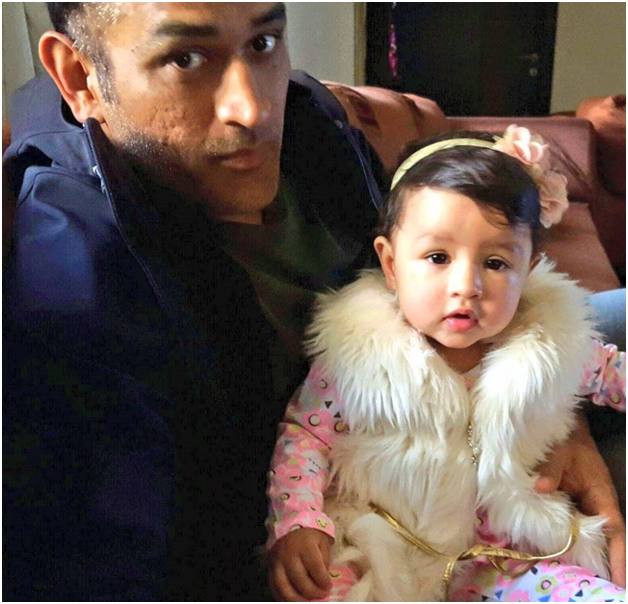 Now yes, daddy Dhoni does not get a lot of time with Baby Ziva but pictures show that whenever he is home, she is his priority and that he dotes on his little princess like every dad does. 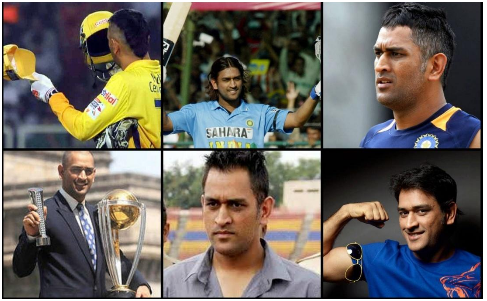 Dhoni has danned many Hairstyles over the years. During the early days in international cricket he sported a long shaggy and wavy hair which lasted for quite a long time. During a match against Pakistan the then President General Mussharraf complimented him for his unconventional hairstyle. Then he cut his hair short for a sober look. After the World Cup win he went straight bald. Inspired by the footballer in him, last year he chopped it to a Mohawk Indian Style and later sported a Jar Head look. Two days back he posted an image of him getting a haircut, at his home presumably. It surprised many fans, especially since Dhoni has a personal hair stylist, and that too a celebrity, in Sapna Bhavnani. Mahi getting a haircut at home instead of a posh Salon melted his fans hearts with one fan even describing him as 'Thalaivar' just like Rajinikanth. Leads by example. MS is the captain who brought us the World Cup after a long wait, led CSK to victory in many IPLS and Champions Trophy and what not. He was used as an example in International football comparing him to Wayne Rooney. He is the perfect leader taking charge when required, bearing blame and stepping up for his team and winning most of the times. Victory has always been his but he has never rushed forward to take credit. Even when the team won World Cups he took the back stage and always bore a smile in win and in defeat. Calling him Captain cool is definitely true cause he has shown tremendous balance of thought and sheer patience to play so far. Mahi owns 23 bikes and is totally in love with his bikes. His first motorcycle Rajdoot is still maintained and restored by him. Two years back he became the founder of FIM Super sport World Championship team called the Mahi Racing Team India. He has also been a part of the Bike Festival of India. He always rides the bikes on the field if he wins a prize for a match and also endorses many brands of motorcycles. His fav is a Harley Davidson and there were also rumours that he once raced with John Abraham on the sea link. Now this needs no explanation. 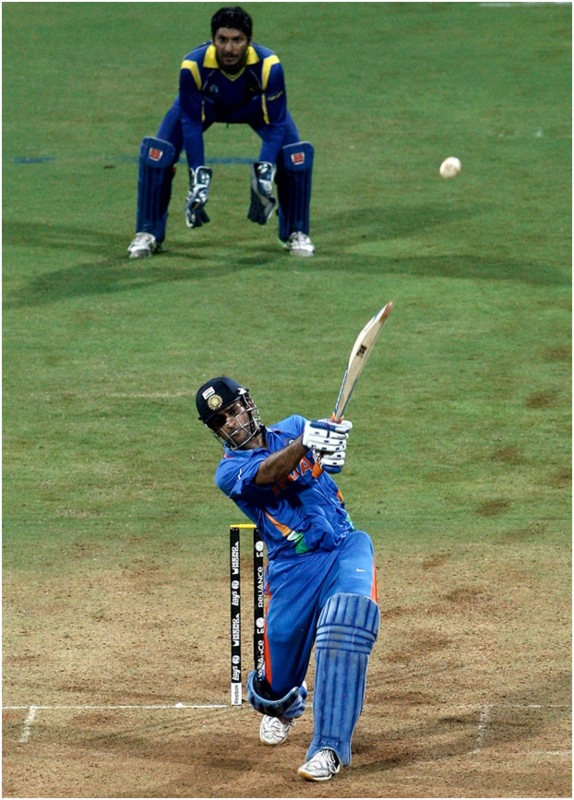 The helicopter special to hit a six and end a game is his signature style and we love it to death! “One of my theories is to be captain on the field and off the field; you need to totally enjoy each other’s company. I don’t like discussing cricket off the field”. The team player that he is, he recognizes talent and has given chances to people like Mohit Sharma and Saha and he is a friend on and off the field. 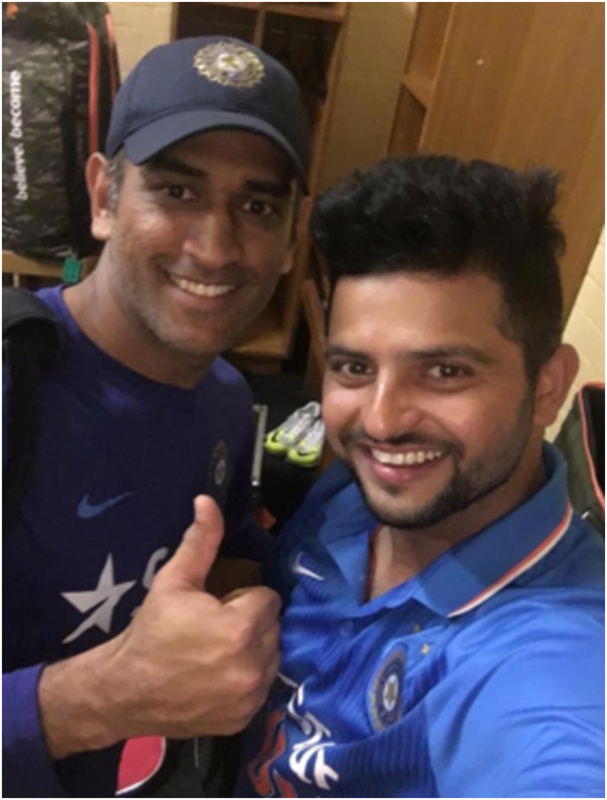 His deep friendships with Ashwin, Raina and Yuvraj are well known.We love you mahi and can’t thank you enough for what you have given us!